I am pleased to invite you to participate in a live social media event on Friday, January 25, at 12:00 p.m. 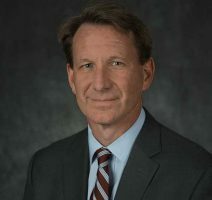 ET, where I will discuss NCI’s budget and plans for Fiscal Year 2019. We are experiencing an exciting time in cancer research, and it has never been more important to plan strategically. 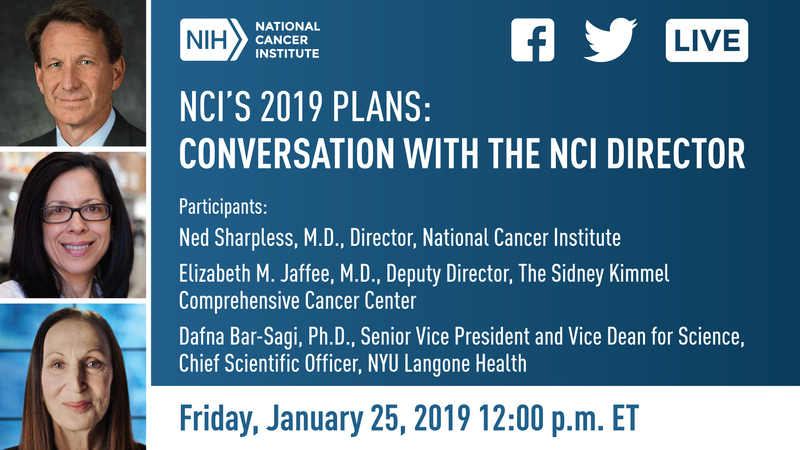 Elizabeth Jaffee, MD, Deputy Director, The Sidney Kimmel Comprehensive Cancer Center, and Dafna Bar-Sagi, PhD, Senior Vice President and Vice Dean for Science, Chief Scientific Officer, NYU Langone Health, will moderate the conversation. In addition to having a discussion with Drs. Jaffee and Bar-Sagi, I will also be answering questions from the audience. Your questions and engagement on this topic are crucial, and I hope that you will be able to participate. Please also spread the word among your colleagues who may wish to join in the conversation. To participate in the event, please visit NCI’s Facebook page, NCI’s Twitter page, or my Twitter page on Friday, January 25, at 12:00 p.m. ET. For more information, see NCI’s Social Media Events page on Cancer.gov.